A Boxing Day hunt in Norfolk. The head of the countryside’s most powerful campaign group has said the Conservative government risks losing the support of rural voters as he warns Michael Gove of “naivity” over the super-viral stories and campaigns fuelling the new Tory animal welfare agenda. Writing for HuffPost UK, Tim Bonner, chief executive of the Countryside Alliance, has urged Tory ministers not to “take the support of voters in the countryside for granted” as the Environment Secretary leads an orchestrated push to be the ‘party of animal rights’. Since rejoining the Cabinet in June, measures pushed forward by Gove include CCTV in all slaughterhouses, a proposed ban on bee-killing pesticides, reintroducing beavers into the UK, making the sale of products with microbeads illegal and a ban on ivory sales. While accepting some pro-animal policies have a basis in improving their welfare, Bonner says others are “motivated almost entirely by prejudice” and that Tory ministers are falling for “manufactured online campaigns”. It comes as the countryside is ill-at-ease over the future of farming subsidies as the UK leaves the European Union. Stories about Tory support for repealing Labour’s totemic hunting ban in its 2017 manifesto, and scrapping a promise to ban the ivory trade in the UK, were widely shared on social media during the election. Since the vote, a misleading story about animal sentience also caused a Conservative online backlash. 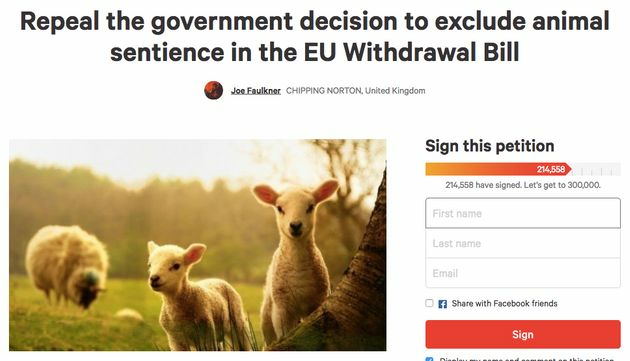 More than 200,000 people sign e-petition calling for a repeal of the government decision’s to exclude animal sentience from the EU Withdrawal Bill. Bonner fears politicians “continue to react as if Twitter really is representative of public attitudes”, and points to how an anti-grouse shooting e-petition received hundreds of thousands of signatures – but attracted just 690 demonstrators, he claims. By contrast, 407,000 people marched in London over the hunting ban at the time, he argues. In a blog for HuffPost UK, Bonner writes: “MPs can now look forward to manufactured online campaigns on every issue from badgers to circus animals and many, many more besides. “The Government will come under huge pressure to turn (new animal welfare legislation) from a Bill to protect animal welfare, into a Bill which can be used to promote an animal rights agenda. “Opening the door to this sort of animal rights campaigning would be questionable at the best of times, but at this stage of the Brexit process when the creation of an agricultural policy to replace the Common Agricultural Policy should surely be the priority it seems especially strange. Conservative Party policy has for more than a decade been to offer MPs a free vote on the repealing the Hunting Act, which since 2005 has banned the hunting of foxes with dogs. Ironically, the party actually watered down the pledge in its 2017 manifesto – promising a vote on its future, not necessarily abolishing the Act – but still faced fierce criticism online. Tory ministers have indicated that while the promise remains, it will not be bringing a vote forward in the Commons at least for the next two years. Since it appears to be going cold on the issue, its next manifesto could well ditch the policy entirely. 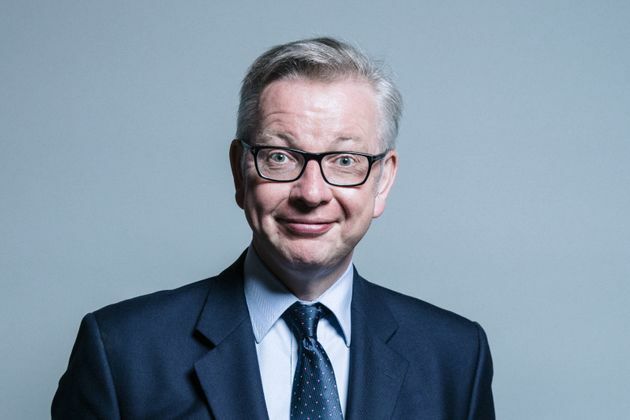 A HuffPost UK profile of Gove revealed how animal welfare and the environmental agenda has gone into overdrive since, and is being pushed forward by May’s closest advisors. Bonner suggests dumping a hunting pledge could backfire politically in marginally rural constituencies where the Liberal Democrats have been recently successful and Labour is making progress. He told HuffPost UK: “The whole saga of the hunting ban remains a running sore in the countryside which is why Conservative support for hunting remains symbolic. “There are only a relatively small number of foxhunters, but there is a much greater part of the rural community connected to activities like farming and shooting who are watching carefully and remain very concerned that similar unjustified legislation could be aimed at them. “Whether or not straightforward repeal of the Hunting Act remains the best way of resolving the hunting issue, and whether or not a specific manifesto commitment is necessary, are open to debate, but the Government should never take the support of voters in the countryside for granted. “Some in the Conservative party may be working on the basis that rural voters have nowhere else to go, but that would be a very risky strategy. “It is only a couple of elections since many of the most rural constituencies in the country were Liberal Democrat and the Labour party made significant progress in many rural constituencies in England and Wales in the General Election.